The First Special Service Force (FSSF) was a joint Canadian-American elite unit which existed from 1942 to 1944. 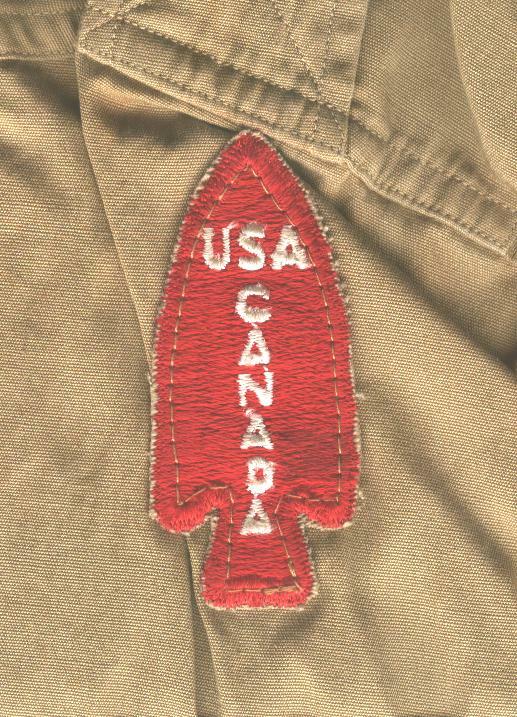 Their formation patch was a red arrowhead with the words CANADA and USA. The unit was raised for Project Plough – an invasion to liberate Norway, but the project was cancelled. They were then sent to Kiska in the Aleutian Islands, then Italy, and later the south of France. When they disbanded, some of the Canadians transferred to 1 Canadian Parachute Battalion. The Canadian contingent was officially called the 2nd Canadian Parachute Battalion and I believe it was also called the 2nd Canadian Special Service Battalion – for administrative purposes. In service however the Canadian and US men were intermixed between the regiments of the Force. The tracked Weasel (T-28, later standardized as the Studebaker M29 and M29C) was developed for their use initially. They were trained in parachuting (they had their own parachute oval to wear behind the US para wings), mountain climbing, skiing etc. They also wore the crossed arrows as a collar-badge. For Officers the arrows were in brass, for Enlisted men the crossed arrows were on a disc. They had their own fighting knife designed and made for them – the V-42. It was made by Case in the USA. These knives turn up either in mint condition (where soldiers mailed them home) or well used. I love this one that has a known history of who carried it and where. It has seen a lot of action and has been sharpened extensively, yet the blade has been camouflaged with brown paint to prevent glinting. This V-42 was carried by Sgt, Jack W. Stallings, Junior of Houston, Texas. He served in 1st battalion of the 1st Regiment of the FSSF. He served for the full time of existence of the FSSF, 1942-1944. 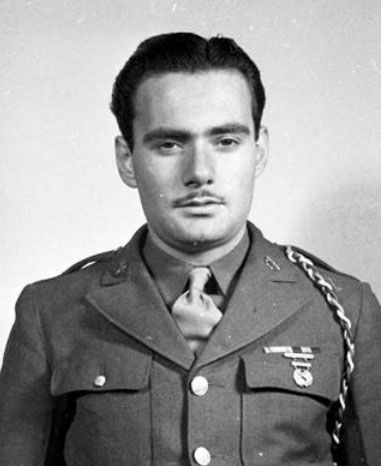 He was awarded the Silver Star for bravery near Anzio when he went into a minefield under enemy fire to rescue some wounded comrades and he was wounded himself but refused to be evacuated. He was later commissioned as an officer and served as aide-de-camp to General Frederick who had raised and commanded the FSSF. Stallings was killed in the Korean War when he jumped down off of his tank and landed on a landmine. I obtained his knife from his son. 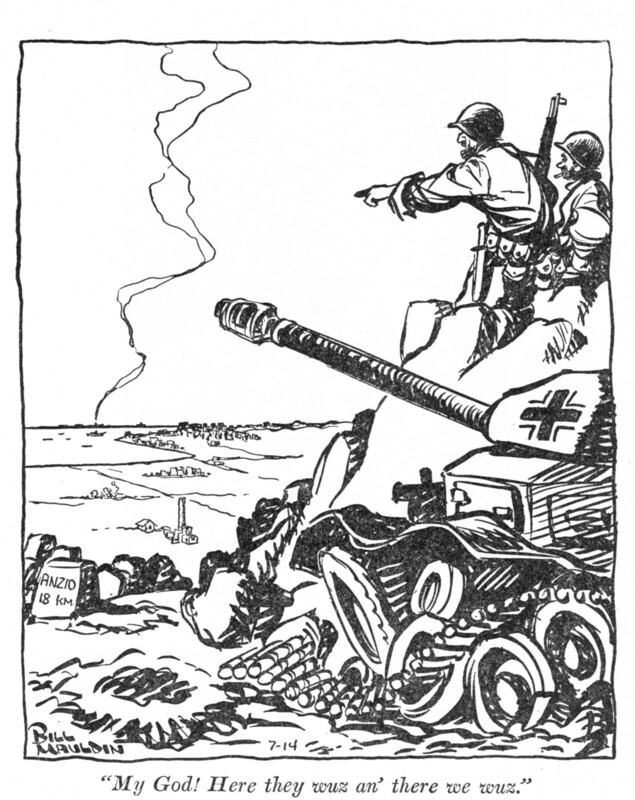 Catoon showing U.S. troops overlooking the Anzio Beachhead for now captured German position. 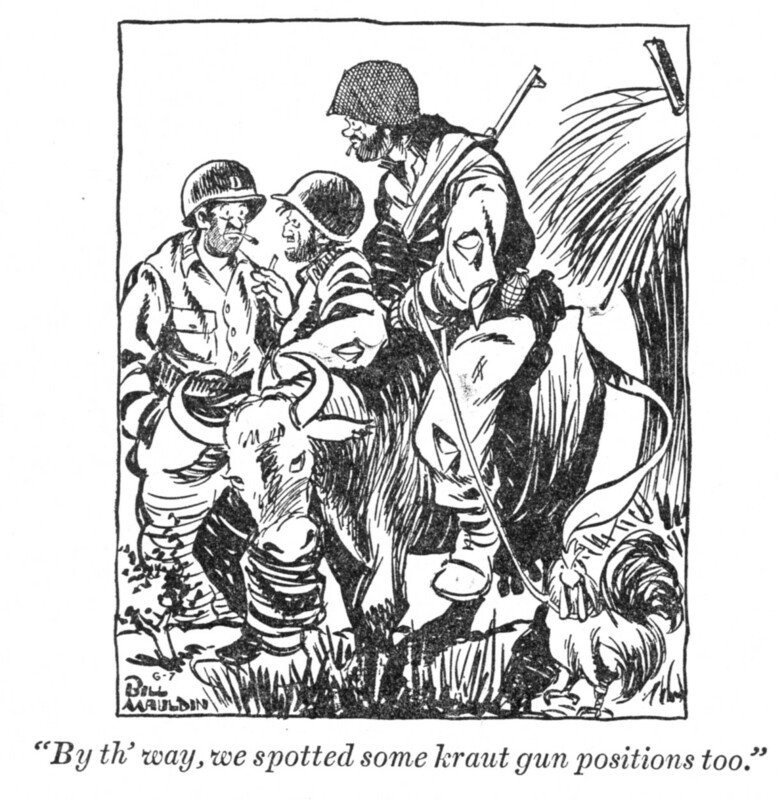 Bill Mauldin p165 Anzio, Italy. They eventually all wore US uniforms. 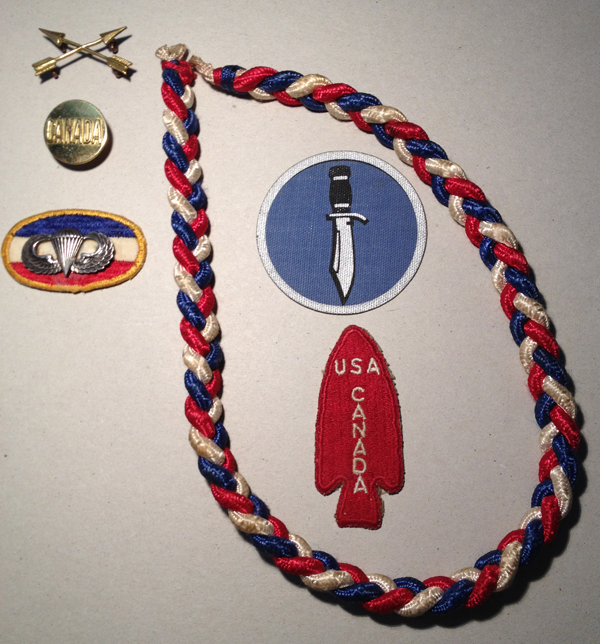 Their special US style insignia included a the shoulder patch (spearhead), parachute oval, lanyard, side cap with special piping. 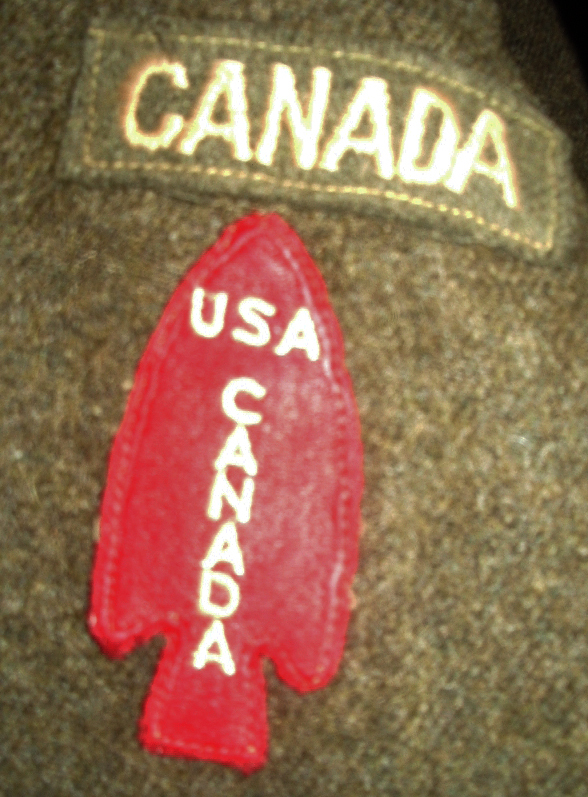 The Canadians wore a collar badge of CANADA on one side and the crossed arrows insignia of the FSSF on the other lapel. Enlisted Men wore the crossed arrows on a disc, and the officers wore the crossed arrows as a separate badge – one that snagged on all sorts of things. 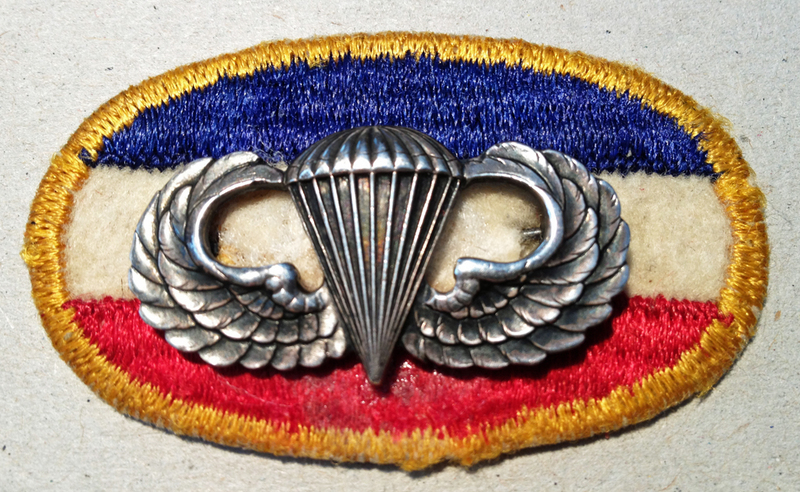 There was no cap badge as the US airborne units wore a generic parachute troops patch on their caps. Several Canadians wore the crossed arrows collar badge as a hat badge later in the war, when they returned to Canadian uniform. I have had the pleasure of meeting several former members: The late Lieut. Larry Storey and the late Lieut. Guy d’Artois among them. Lieut Larry Story’s battledress from after disbandment of FSSF when he and the other Canadians returned to the Canadian Army. 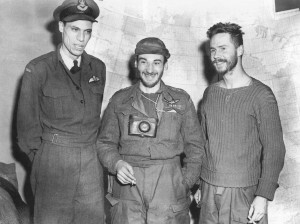 Capt Guy d’Artois centre on return from Op Canon after WWII when he was commanding the Canadian Special Air Service Company. The late Major Guy d’Artois was a Savat (foot fighting) instructor with them, and went on to serve with them at Kiska. 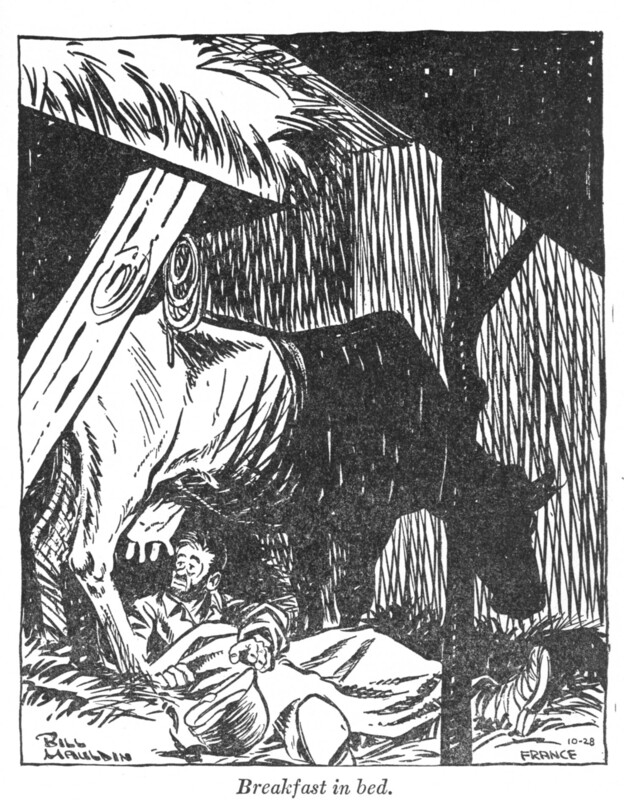 He later served with S.O.,E. 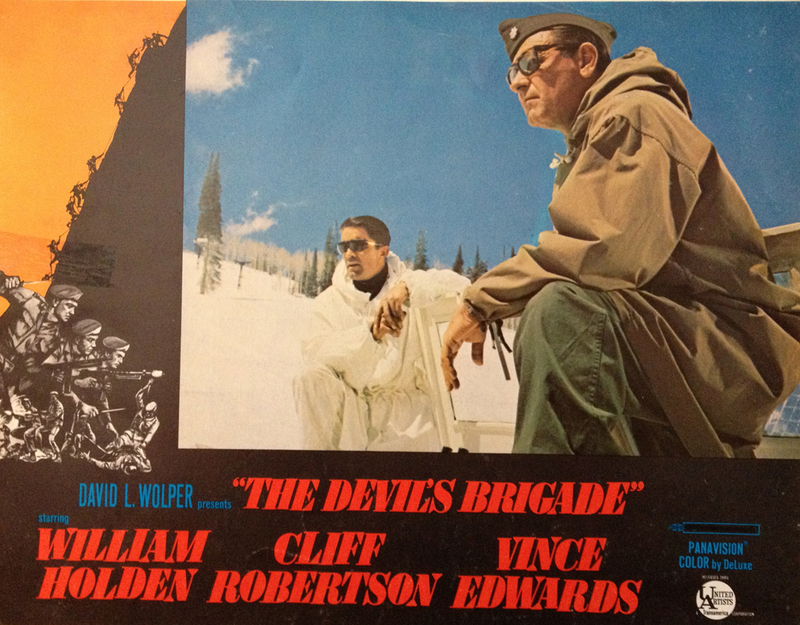 in France as a secret agent, he raised and commanded the Canadian SAS Company post-WWII, and served in Korea with the Royal 22nd Regiment (Van Doos). I took this photo when I visited Guy and his wife at their home. He gave me his FSSF parka and skit pants with suspenders. I later donated these to the Canadian War Museum. Their knife is used in the US Special Forces (Green Berets) cap badge, as is their collar badge – the crossed arrows. Their battle honours were perpetuated by the US Special Forces and by the Canadian Airborne Regiment (since disbanded). WANTED: FSSF items for my collection. I especially like it when there is known history connected to the items, what museums call “provenance”. I am interested in a deactivated M1941 Johnny Gun (in Canada), FSSF uniforms, V-42 knives, FSSF souvenirs etc. Return to my Military Units page.